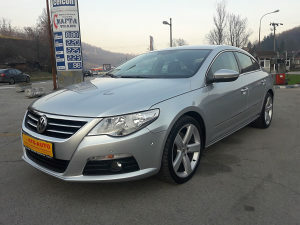 VW PASSAT CC, 2.0 TDI, 103 KW, 2009 G.P ! VOZILO JE U PERFEKTNOM STANJU, POSJEDUJE PARK SENZORE, SENZORE ZA KIŠU I SVJETLA, DIGITALNU DVOZONSKU KLIMU, TEMPOMAT, BOARD C, ALU FELUGE..I JOŠ MNOGO TOGA ! VOZILO JE TEK UVEZENO I PLAĆENE SU SVE OBAVEZE DO REGISTRACIJE !